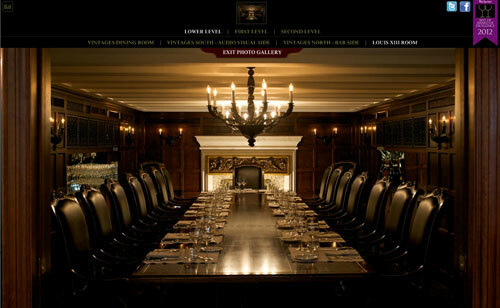 To celebrate the 10 year anniversary of this luxury steakhouse in Toronto, TVI designed and developed a website to capture the essence of the venue. A 3 day photography shoot was also directed by TVI and various imagery was created to achieve the desired feel. The site includes e-commerce via gift card processing as well as online booking forms for private events and reservations. After celebrating our 10 year anniversary in our newly renovated restaurant it was about time for a website change. We needed something major and we needed it fast. Something that went with our new more modern atmosphere yet something that kept a sense of elegance and added touch of humour… There’s creativity, practicality and efficiency in everything they brought to our site. They were able to handle some of our technical needs with issues they had never dealt with before effortlessly. All of our expectations were met and their initial quote was precise and fairly adjusted when we asked for more. Without hesitation, we would recommend TVI Designs to anyone who was looking for innovative web design.